Singapore casino project maintained in a single master model. Sometimes aesthetics and execution come together to pay off big. In May of 2006, the architectural firm of Moshe Safdie and Associates won the biggest design competition in its history. 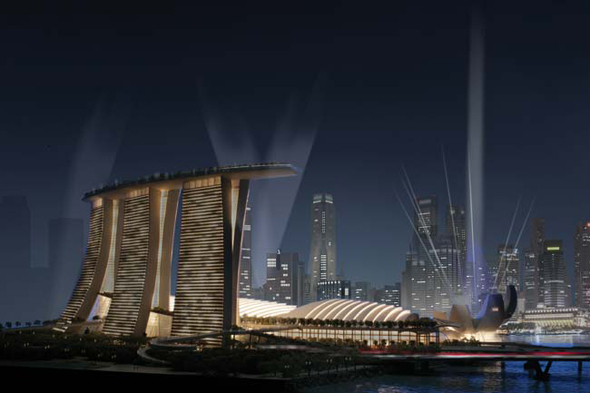 The city of Singapore had selected the firm’s design proposal for its very first casino, the Marina Bay Sands integrated resort. “Big” may be too small a word for the award. “This is a very large project. It’s essentially a city,” explains designer Jaron Lubin, who was part of the design process from the beginning. The Marina Bay Sands development will spread across a six million square-foot footprint, containing casinos and hotels, a 54,000-capacity convention center, an Art/Science museum, a mall, two large theaters, and six signature restaurants. When the resort opens in 2009, the operation will employ an estimated 10,000 people. According to official reports, the budget for construction of the international entertainment mecca tops out around £2 billion. For any firm, winning a bid that big is a jackpot. Since the acceptance of the proposal, Moshe Safdie & Associates has doubled the size of its staff in its Somerville, Massachusetts office. To ensure the on-time delivery of the massive submission and to keep track of all the design output, the team tried a somewhat different approach to project management. 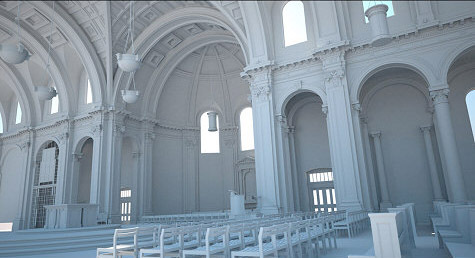 The designers’ strategy was to maintain the entire project in a 3D master model. “We started to develop our 3D models right away,” Lubin explains. 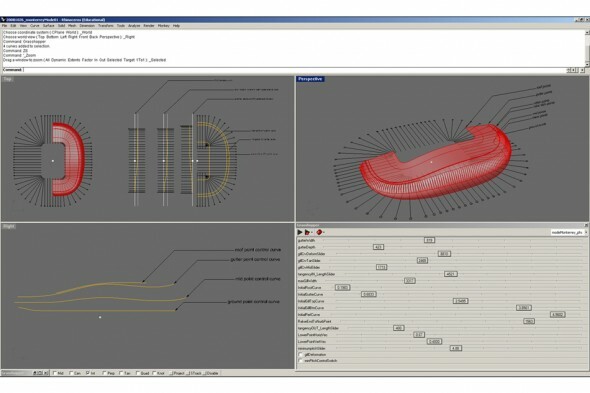 The design team modeled the essential forms in a product design software called Rhinoceros. 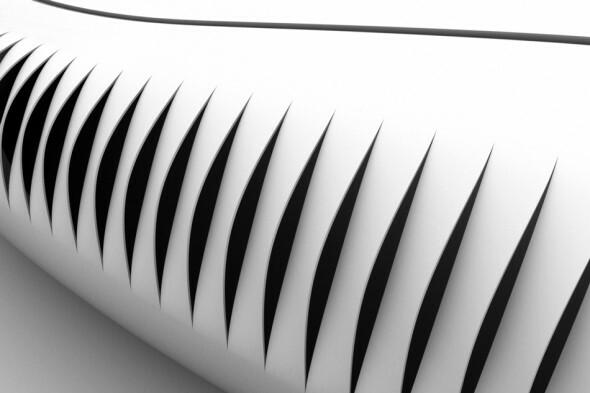 The Rhinoceros modeller is a favorite 3D design generator for industrial art projects large and small because of its powerful NURBS engine, which allows designers to easily create intricate curves, organic surfaces, and sculpted textures. Curvilinear elements like these can be seen as a unifying motif throughout the Marina Bay Sands interior and exterior designs. 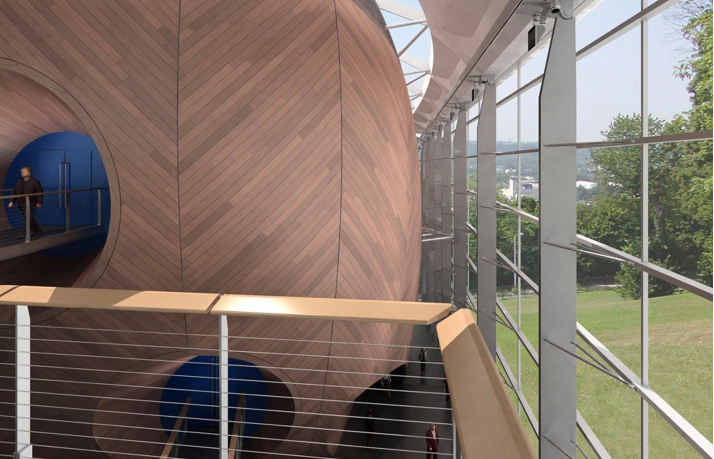 For the team at Moshe Safdie & Associates, Rhino gave the additional advantage of flexible export, which could convert all the curved shapes faithfully to other 3D and CAD-related formats. 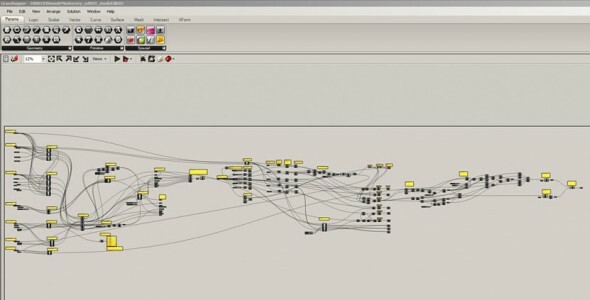 “The key to using Rhino for us was that there was such an easy exchange between other software platforms, so we could have many modes of simultaneous production. This enabled our competition team to act more efficiently and create a higher quality product in the end,” says Lubin. 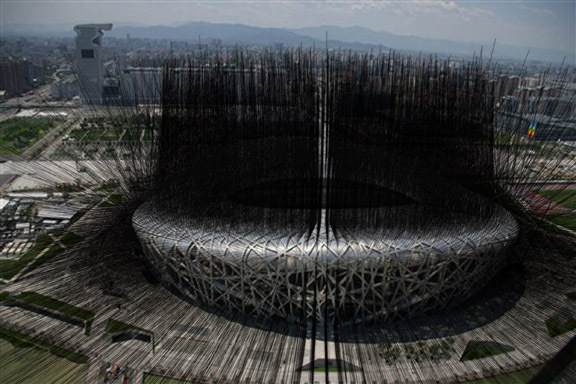 From the 3D master model, sections of the design were exported to whichever software was most appropriate for the task: to develop further details, analyze the structures, and prepare the final visual presentation in the form of renderings and physical models. For instance, the master model exported the basic linework for 2D base plans, sections, and elevations. From there, other designers could further develop details using AutoCAD, Adobe Illustrator and Photoshop. 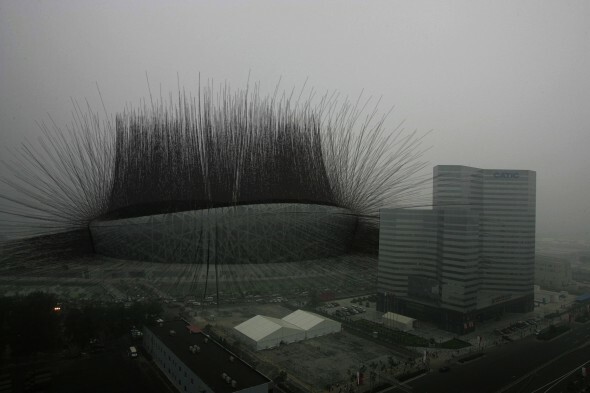 The firm relied on several outside parties for consultation on structural engineering and wind simulation, and for professional rendering services to create the final photorealistic images. Analysts received DXF exports of the master model to be used in their own 3D systems. The 3D model in its entirety was sent to the rendering and animation firms through a special NPower plugin, which converts 3D data from the Rhino modeler to 3ds Max. While the outside firms rendered the Marina Bay Sands complex into the backdrop of the Singapore skyline, Moshe Safdie & Associates’ in-house model shop cut all the scale model parts. Here the team extracted STL files to create 3D components through a Z Corp rapid prototyping printer and automated 3-axis CNC mill. 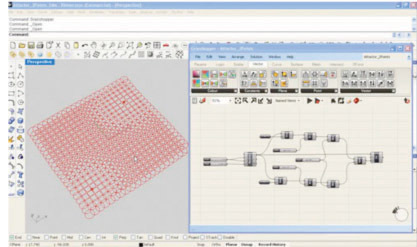 The master model also exported 2D outlines that were made compatible with the model shop’s laser cutter by utilising a multitude of widely available plug-ins and scripts. 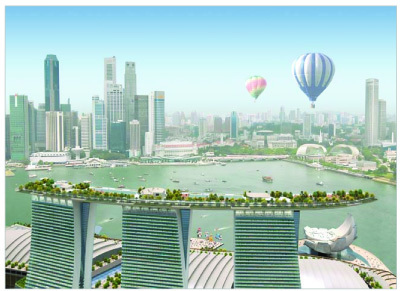 The extra detail required for the contest submission led to a much more comprehensive initial design, one which pleased the Singapore officials to such a degree that they have accepted the results of the competition phase as the official guidelines for future development. 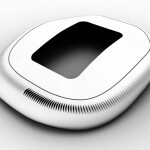 “Because of the timeline, there will likely be minimal aesthetic changes between the submitted design and the final product,” Lubin surmises. After a brief celebration of on May 26, the day the architectural jackpot was announced, the staff of Moshe Safdie & Associates prepared itself for more work – about three years more work – to make the Marina Bay Sands a reality. # # # A version of this story was published in AECMagazine.